Not my favorite sheep today! Reno and Holly are not on my good list today. 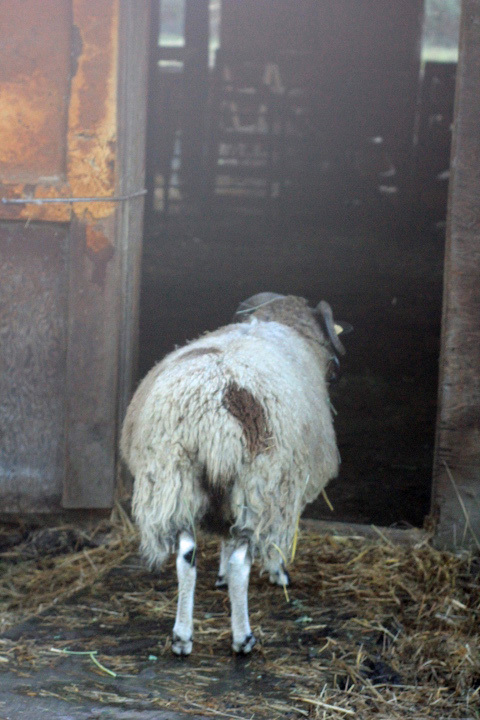 Holly wasn’t bred this fall due to the issues she had after lambing this year (she had polio and still hasn’t regained all of her eyesight). Because she isn’t bred, she spent the day making googly eyes at Reno from a couple fences away. Reno was determined to not let those fences get in this way! You can see Holly on the right side of this picture. All of the other ewes are eating hay in the barn. She was pathetically calling to Reno and batting her eyes at him. It wouldn’t have been a problem, except Reno was really trying to take the fence down. You can see the marks on this poor post. 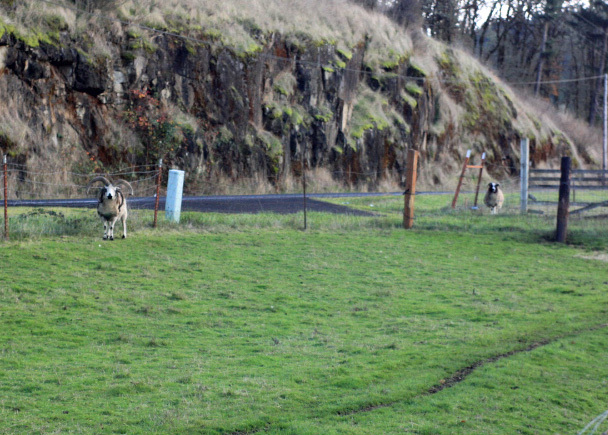 He was also taking his frustrations out on his poor pasture pals. Yes, you mister…you are in trouble! It wouldn’t have been a big deal, but I finally caught my son’s cold and am feeling like crud today. The last place I wanted to be was outside chasing sheep around, especially when there was a nice, cozy fire inside. Little Emeline was more than eager to come up to the front of the barn with her mom and Avalon decided it looked like a good idea too and I wasn’t up to arguing with her. So, Holly is confined to the barn for a couple days along with her two buddies. This isn’t the first time Holly has made romantic gestures towards a ram when I haven’t wanted her bred. 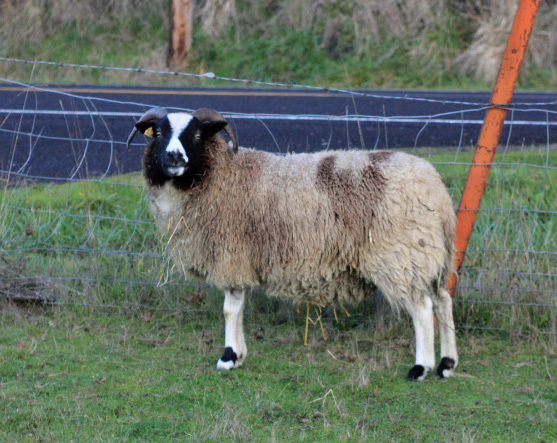 A couple years ago, I wasn’t going to have her bred because she was part of my group for teaching herding lessons. She had different ideas and I finally gave in and opened the gate for her to join Julian’s breeding group. 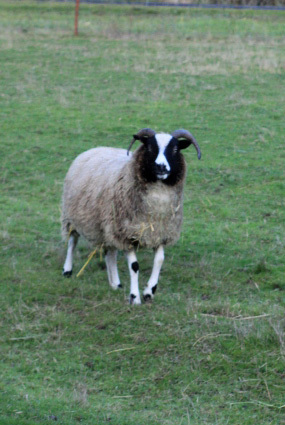 In that case, I was very glad I did because I love my Mollala girl…the resulting lamb from that year. This year is different and I am not giving into her! We will be putting up the temporary fence at the end of the barn in a couple weeks in preparation of lambing and that should take care of the situation in the future. In other news…it looks like winter is here. 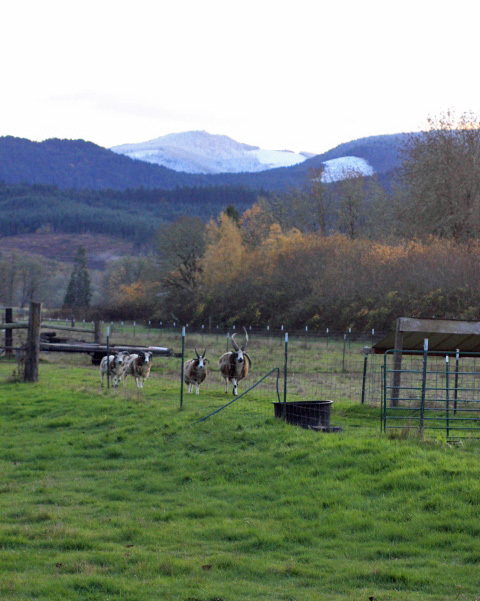 We have had fresh snow on the hills behind our house the last two mornings. 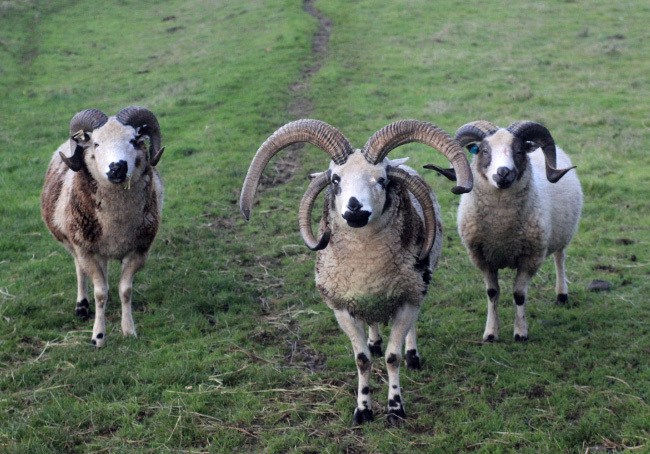 Those crazy girls… Boy, your rams are nice. Hope you feel better Shannon! Glad you got them situated… I was thinking, as I was reading the beginning, that you should put her in the front of your barn. LOL 😉 Glad that worked out! Thanks Joan…great minds think alike 🙂 Out of sight, out of mind! Thank you Laura! I am little concerned because my son is going on week 4 of coughing and the doctor says it just needs to run it’s course. Too much to do to be feeling under the weather for a month!!! Hope you have a speedy recovery!! I hate it when I get sick Yes those flirty girls can cause problems. I had the 2 I got from Joan do a houdini and get in with my other breeding group. Couldn’ find where they got out as the fences were good and I don’t think they jumped. 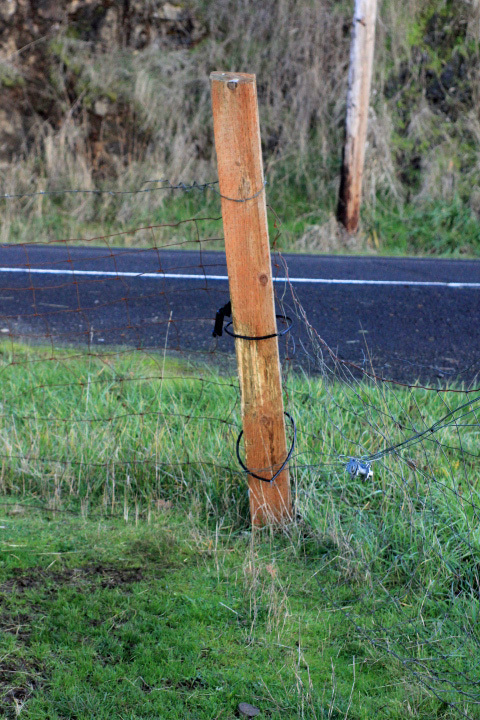 Finally found it a fence clip came off the post and they squeezed under. 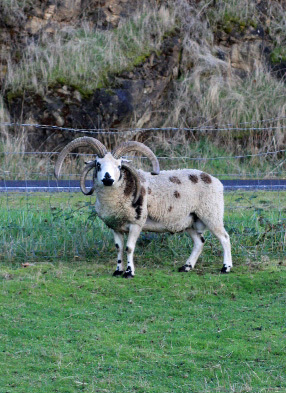 Luckily they weren’t bred by the other ram. I saw them get bred the other day by the ram they were supposed to be with. Whew! those tricky girls!!! Thanks Penny! I really hate being sick. Glad your girls weren’t bred by the wrong guy. Who did you breed them to? They can be tricky! Hello 😀 Pray you and the little guy have a speedy recovery! 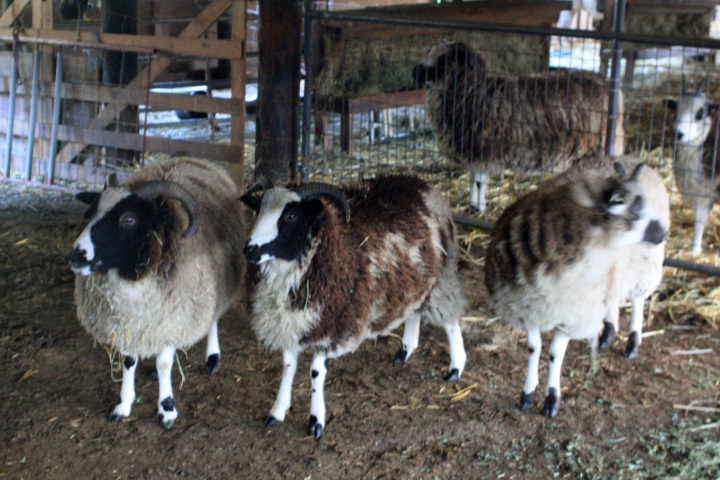 That Reno is so handsome,I can see how the ewe’s find him so hard to resist!